Imagine a place where Hares can live without any fear of human interference and hardly any natural predators – that’s the Calf Islands in Roaringwater Bay: Middle Calf, East Calf and West Calf. I gleaned that exciting and wonderful piece of information on a visit this week to the Sherkin Island Marine Station exhibition, in the Islander’s Rest Hotel on Sherkin. A friend of Finola had given us an introduction to the founder and manager of the Marine Station – Matt Murphy – and the very first conversation I had with him on that day was about Hares and Rabbits! Great quantities of the latter thrive on Cape Clear – the largest and most distant of these West Cork islands – but not on the others, while Hares have the privilege of the Calves all to themselves: no-one has lived there since the 1940s. 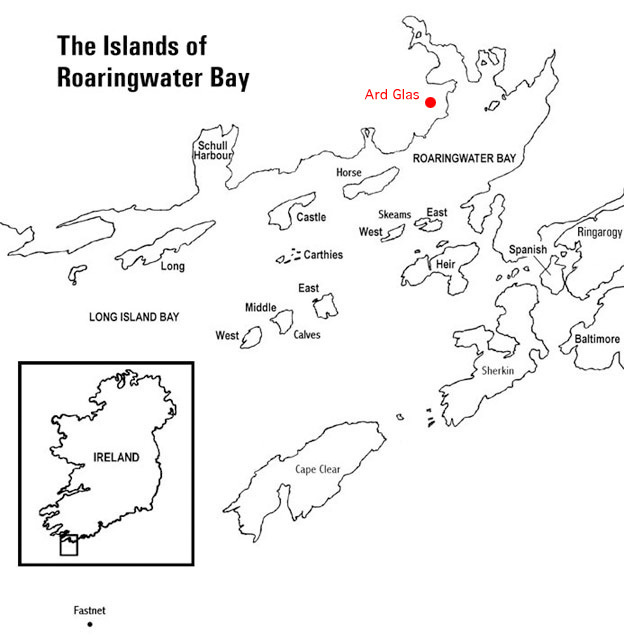 Their are 14 islands (or island groups) in the Bay [here is a good summary], and all have been inhabited at some time in history, but now only the larger ones – Clear, Sherkin, Castle, Horse, Hare and Long Island are occupied. 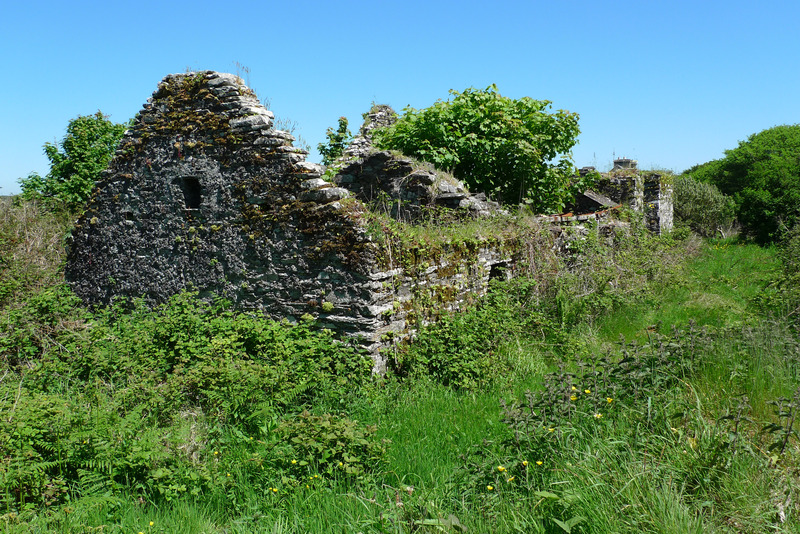 The most populous is Cape Clear, around 120 people at the moment: it is part of the Gaeltacht – the areas in the Republic where spoken Irish predominates. We haven’t yet visited Clear but we intend to as it is a centre for the study of the Irish language and traditional culture. There is an internationally renowned storytelling festival on the island in September of every year. 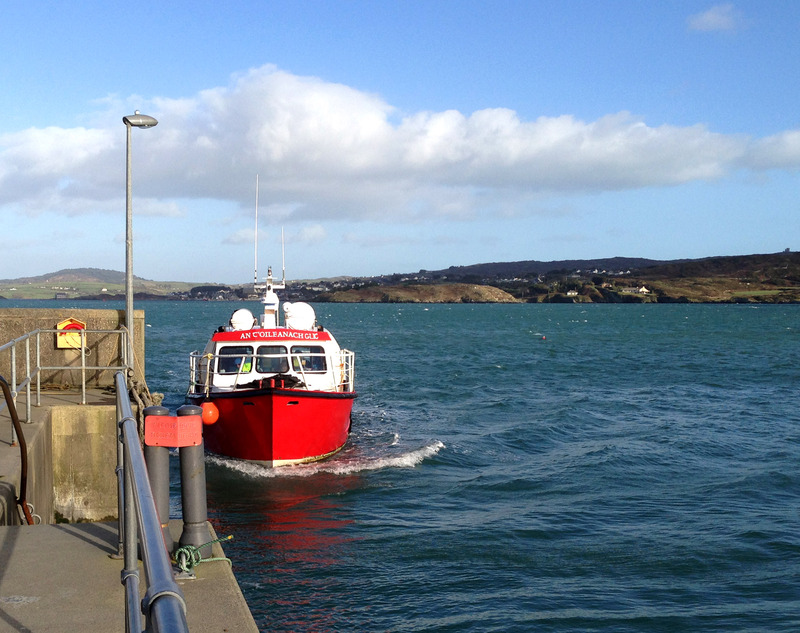 Our trip to Sherkin started on the ten o’clock ferry from Baltimore, a short drive from Ard Glas. My daughter Phoebe has been visiting from Norway this week and we took her along for the ride. Matt brought us to his home for a wonderful lunch prepared with his daughter Susan (five of his seven children still live and work on the island), and he told us about the Marine Station, which is an internationally renowned centre for the study of the marine environment. Matt and his wife Eileen (who, sadly, passed away in 1979 at the age of 37) started the project in 1975 and it is now a unique education and research facility. Every year volunteer students come to the station from all over the world to take part in the continuous monitoring of marine life, weather, biology and environment in the Bay and to carry out specific surveys (examples: Rocky Shore Survey, Phytoplankton Survey, Zooplankton, Otters, Birds, Insects, Butterflies and Moths, Terrestial Flora and Seaweed). The Station houses a huge library of documents and samples – probably the largest such collection outside of any university in Europe. 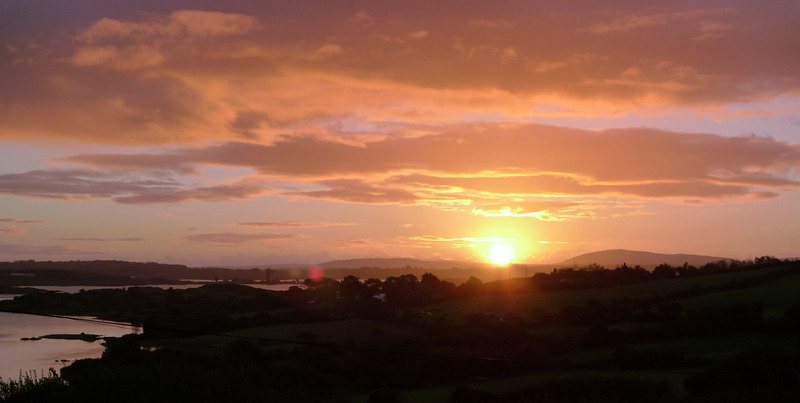 It publishes an environmental newspaper – the Sherkin Comment – and books, while also organising exhibitions, conferences and workshops. In return for our fascinating day spent in Matt’s company, we have agreed to contribute an article to his newspaper on Rock Art – there is none that we know of on the islands, but there is prehistory, history, nature and culture a-plenty!